At my university dorm, almost all the students went back to their rooms after dinner. I would review and preview for the classes I was taking at the time for at least five hours every night. There were often days that I couldn’t go to bed until after midnight. Even studying for those long hours every day didn’t make me feel like I was taking a step forward, I rather felt opposite. There were always so many things to do so I couldn’t afford to think positively. After spending so much time on my homework from ESL classes, I could barely keep up. In addition to the ESL classes, I was taking some short-term seasonal courses during spring and summer. These courses were lecture based so I didn’t get any homework. However I still couldn’t catch up with those classes without previewing at home so managing my schedule was a big challenge for me. These courses were open for all students and of course there were mostly young students like my son and daughter’s age. Among them I was the only middle aged woman and I was also an international student. My classmates must have been wondering why this Japanese middle aged woman was studying here. However none of them really looked at me with curiosity. One of the students I became close with had asked me some personal questions and here is what the conversation was like. Student: Mind if I ask your age? Me: Yes. You should never ask a woman her age. Student: Hmm I guess you are about the same age as my mom. Me: Yes something like that. Student: Why are you studying here in the states? Me: Studying in the states has always been my dream and I wanted to graduate from an American university. Student: That’s very impressive. I have to tell my mom about you. The conversation ended like that and this student didn’t ask me any further questions. I didn’t really hang out with these students outside of classes since there was way too big of an age difference between us. However I had to make some close friends in each class so that I could ask for help in the classes. Often times I didn’t even know what homework was given from my classes. Therefore I desperately needed to make at least one close friend from any classes I was taking. Usually one class was three credits and class met either twice or three times a week. Twice a week class was usually 3 hours and three times a week class was 2 hours. On my first school year in the states, I took one liberal art class in addition to ESL classes. It was an American literature class taught by Professor Ann Charter. ESL classes are for students with English as a Second Language so ESL teachers speak to us in a way we can understand the English without too much trouble. However professors from liberal arts would never slow down their speed for a foreign student like me. I could barely understand what’s going on in the class with the help of my text book although I got totally lost when other students spoke up in the class. I used to get really irritated as I couldn’t understand my classmates’ English especially when we had to do presentations or exchange opinions in the class. There were some summer courses among the liberal arts classes and I decided to take Professor Ann Charter’s class. She was a female professor of American literature and I had sent a letter to her from Japan. Back then, she was giving a lecture about an American short story writer Raymond Carver. 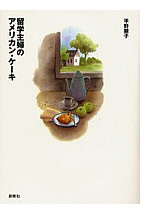 It is well known that all works of Carver are translated by Mr.Haruki Murakami. I also wrote a book report of Carver’s and I submitted it to professor Charter. Professor Charter read this and said to me that she wanted to use my writing for the textbook she was making for her class next year. I was quite surprised by this and asked her why. She said my writing was quite elementary English and she found it interesting. Of course I said OK as I thought it was an honorable thing. At the same time I was asked to sign some document without knowing much what was going on. The document was for the deal that I was going to get paid $100 for my writing. A short while after I received a check in the amount of $100. I thought I was quite lucky. If I were to exaggerate slightly, I would say, in the United States, many unbelievable things will happen to you one after another. People in the states follow strict rules about contracts and author’s copyright and stuff. Most likely if this happened in Japan, my writing would have been used without even getting my permission. America’s copyright policy is way stricter than Japan’s but I guess this is one good side of America.